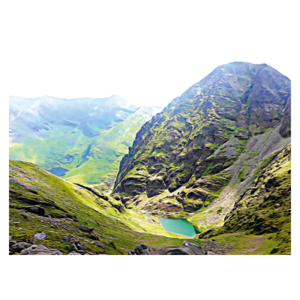 After your momentous ascent of Ireland’s highest mountain – Corrán Tuathail / Carrauntoohil, each and every climber will be presented with a cool & unique memento of this truly remarkable day. 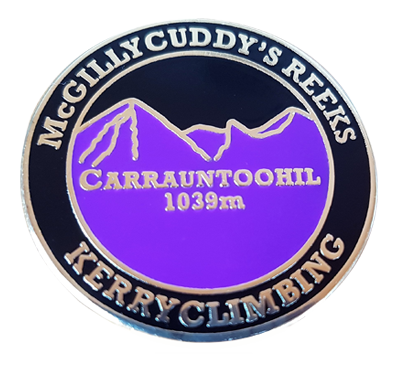 These specially commissioned enamel commemorative badges will make a really nice keepsake and excellent reminder of your time spent “Experiencing the Adventure” of the magnificent MacGillycuddy’s Reeks mountains of Kerry. 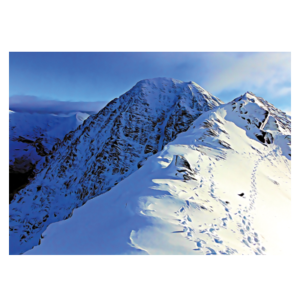 They will serve as a cool reminder of the huge significance of this special day and will show off to the world your impressive Kerry climbing achievement. These fab, limited-edition and much sought-after souvenir hard enamel badges are 3cm in diameter and have a smooth, highly polished finish of exceptional quality. 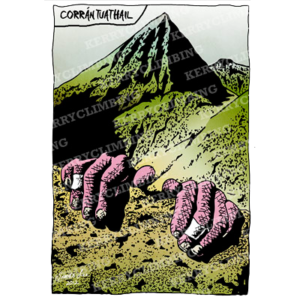 They are attached with an extremely tough & rugged brooch style pin and will be a super cool addition to any ruc-sac or jacket. 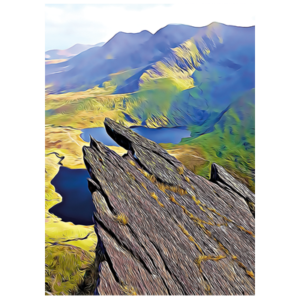 Note: These complementary funky badges are strictly unique, are NOT available ANYWHERE else and are ONLY available to Kerry Climbing clients.